Hear the stories that make Charleston a city full of restless souls with unfinished business on this guided, 90-minute walking tour. Visit the Historic City Market to hear about Gullah traditions and superstitions. See the haunted graveyard at St. Philip’s Church. Walk down Philadelphia Alley to learn about the tragedy of the Whistling Doctor and along Unity Alley to hear the chilling tale of the country’s first serial killers. Also, walk by Charleston’s most haunted building, the Old Exchange and Provost Dungeon. 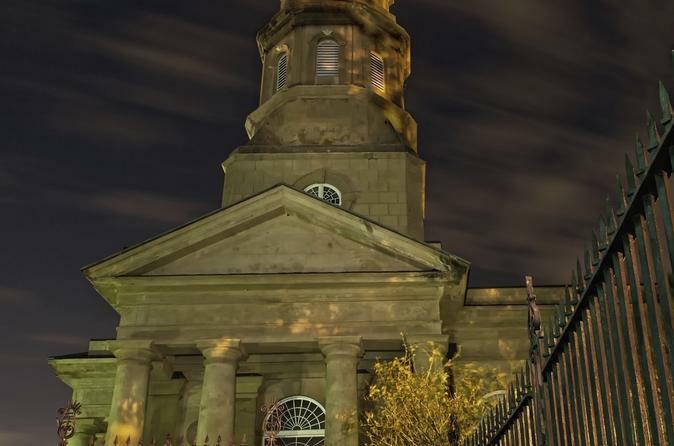 These are the legends of Charleston’s ghosts.